I have been nervous to try out the crop top trend. So I was excited when I got this adorable flamingo crop tee because it is a little longer then most and I was able to tuck it in to this skirt. I really love the way crop tops look when I see other people wearing them, I am just not sure I can pull it off. I love this topshop skirt! It comes in a couple of colors that are perfect for Spring. I went up a size. I think topshop tends to run a little small! I am so happy its Friday! I hope you all have a great weekend! Thank you so much for reading. That flamingo top is too cute, love it! I just purchased this skirt from Nordstrom yesterday!! I'm so in love with it and it looks fab on you! The flamingos are adorbs!! Have a wonderful weekend! Such a fun top! Love it with that skirt! This whole look is so adorable! I love how you always manage to make it so feminine! Jade you are just adorable everyday! I love following you! Do you mind me asking where your lipstick is from? You always have the best makeup, would you consider adding the brand of lipstick you wear to each post? LOVE this look! 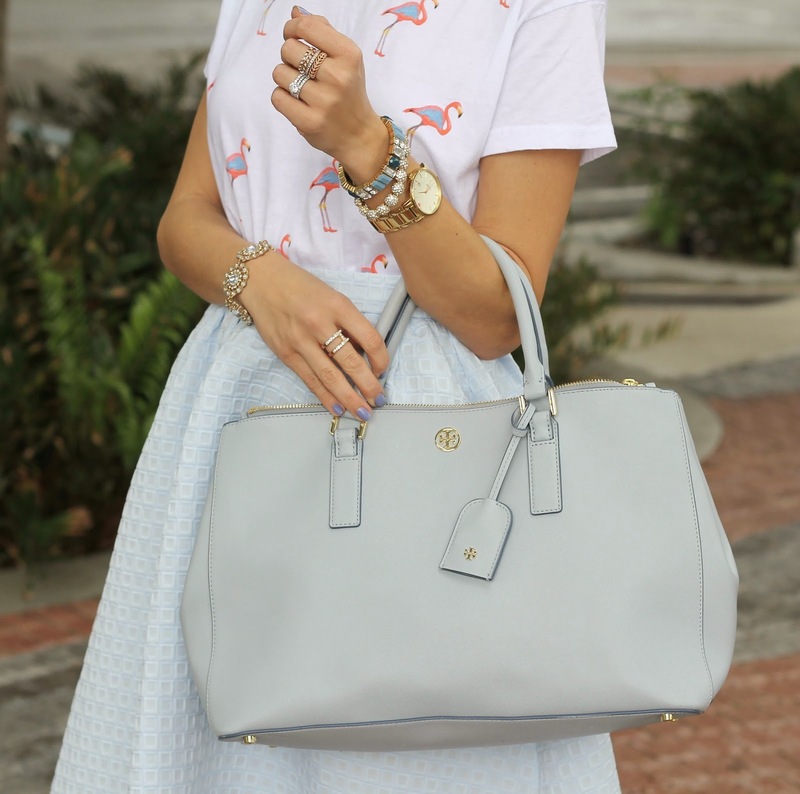 The color of the skirt is perfect and the flamingo shirt is super fun and cute. that skirt is amazing. I love its shape! you are so thin! Those shoes! Looking adorbs (as always). Love this outfit...such a fun look and perfect for Easter! Super cute! Love that skirt! Woo I would be obsessed with this Topshop skirt as well. It looks so girly and chic! Perfect for you and compliments your hair and skin tone s well! Super cute pairing. Like the material and pattern of your skirt! Cute outfit. Love the bag. Soooooo pretty! I love this outfit- the skirt and shoes are so cute!